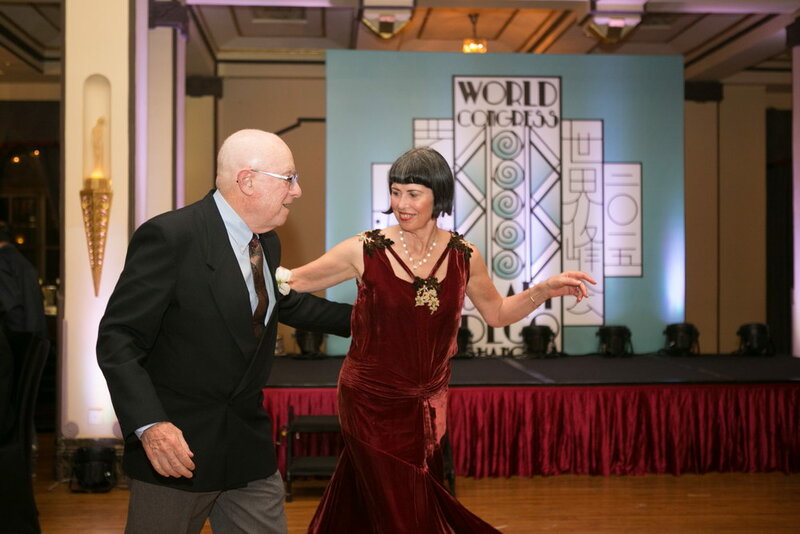 The biannual World Congress on Art Deco was conceived by Miami Beach preservationist Barbara Baer Capitman and initiated in 1991 by the Miami Design Preservation League. 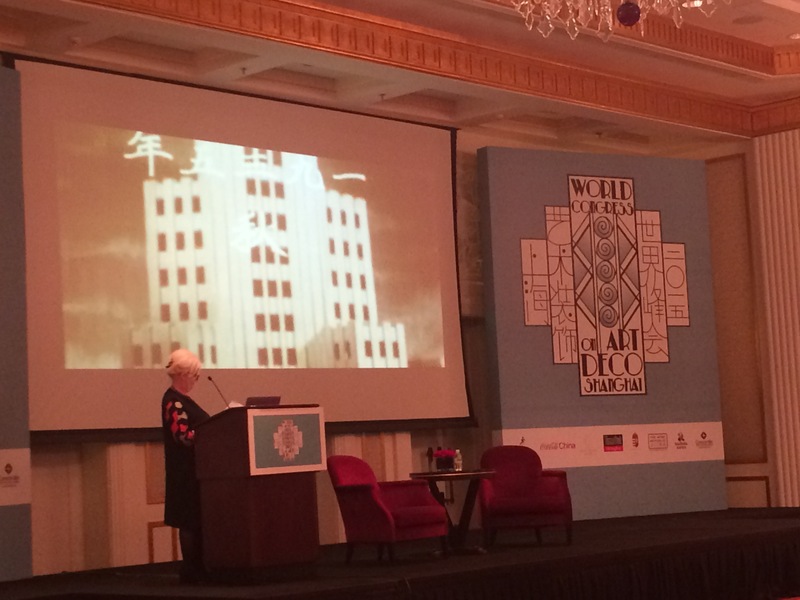 It promotes the conservation and preservation of Art Deco sites and monuments and offers an opportunity for members of Art Deco societies around the world to network and socialize. 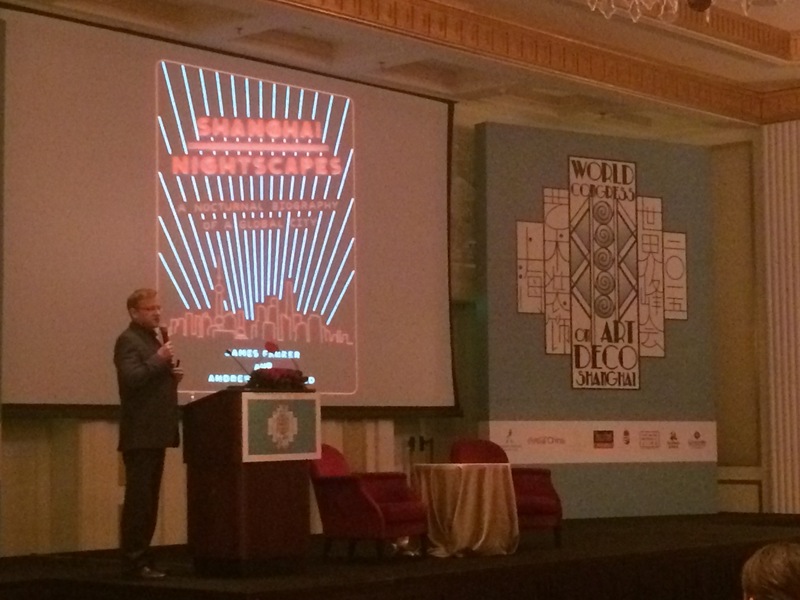 Sites of recent World Congresses have included Havana, Cuba; Shanghai, and America’s Midwest. Over Eighty years ago, Cleveland welcomed visitors from around the world to the Great Lakes Exposition. 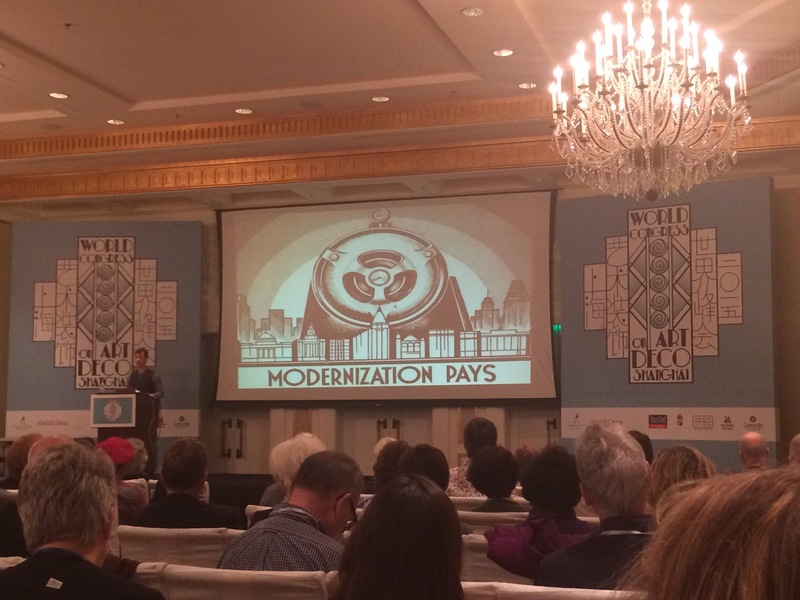 In May 2017, the city of Ohio once again opened its doors to an international audience for the Fourteenth World Congress on Art Deco. 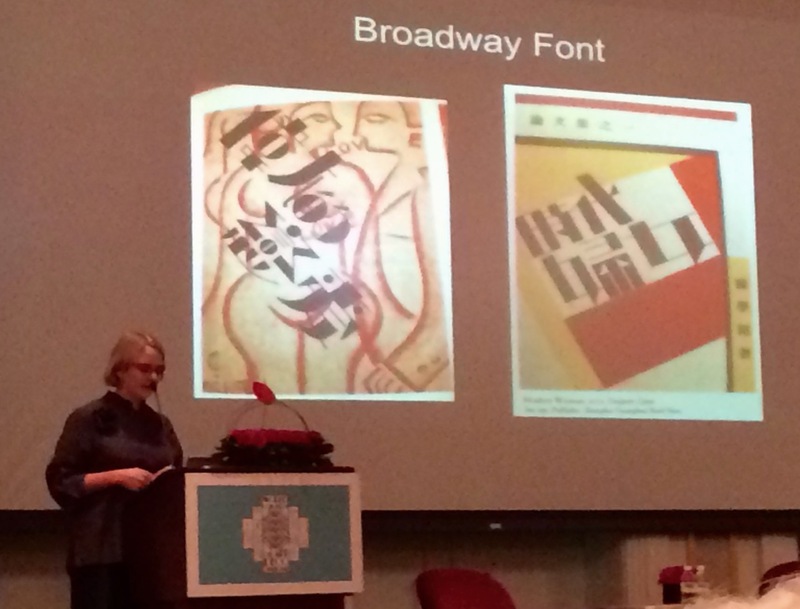 The Congress theme Artists, Designers, and Craftsmen and the program’s lectures and site visits examined Cleveland’s Art Deco murals, ironwork, pottery, interiors, and architecture. The Congress opened on Sunday, May 14, with a cocktail reception in the English Oak Room, the former restaurant of the Cleveland Union Terminal, retaining its Art Deco light fixtures and ceiling details. Over the week, tours visited the Greyhound Bus Station, the Streamline Moderne former Coast Guard Station, the Guardians of Transportation on the Lorain-Carnegie (Hope Memorial) Bridge, Severance Hall, and the Art Deco Hangar, a private recreation center with an “under the sea” mural and a metal pool railing by Rose Iron Works with fish and seahorse motifs. Rose Iron Works was the source for some of the finest American Art Deco ironwork, and delegates will tour its current facility, still owned by the founding family. We also visited the Western Reserve Historical Society, with an Art Deco collection that includes Rorimer-Brooks furniture, automobiles, and a Ferro enamel mural from the 1939-40 New York World’s Fair. Another highlight was a visit to the Cowan Pottery Museum, an art pottery studio known for its innovative glazes and Art Deco designs that was forced to close during the Great Depression. The elegant French-inspired Palm Court of the Netherland Plaza hotel (now the Hilton Cincinnati Netherland Plaza) was the site of the opening reception for the pre-Congress program in Cincinnati. Delegates toured the Art Deco Union Terminal (now the Museum Center), where glass mosaic murals by Winold Reiss depicting Cincinnati history surround the magnificent rotunda. Later the group viewed nine additional murals representing Cincinnati industries designed by Reiss for the terminal’s concourse, now at the Duke Energy Convention Center. Other activities included visits to the Cincinnati Art Museum, the Art Deco Lunken Airport, and a Streamline Moderne former Coca-Cola Bottling Plant. 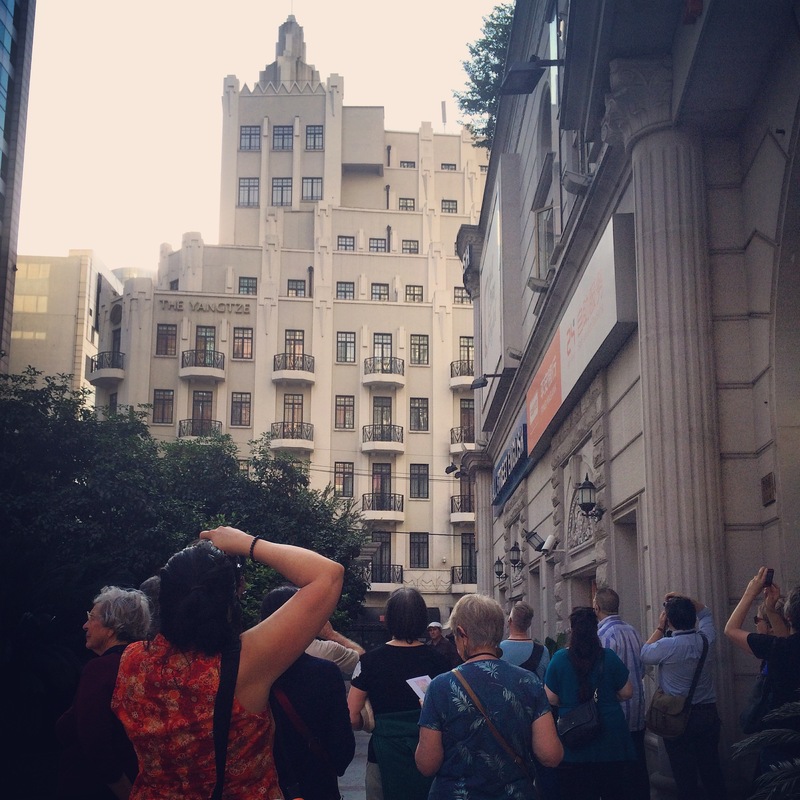 The Guardian and Fisher Buildings were among the Art Deco highlights on the itinerary for the pre-Congress tour. The forty-story Guardian is clad in orange brick and has a spectacular main lobby featuring Pewabic tiles and Rookwood pottery. The former banking hall on the upper lobby contains a three-story mural by Ezra Winter. Sculpture, mosaics, and frescoes, designed by the Hungarian-born artist Geza R. Maroti, decorate the interior of the lavish Art Deco Fisher Building, which incorporates the Mayan-inspired Fisher Theatre. Among the highlights of the post-Congress Program being hosted by the Art Deco Society of Washington is a tour to Fallingwater, Frank Lloyd Wright’s Modernist masterpiece in Bear Run, Pennsylvania and the nearby Kentuck Knob, a Wright-designed Usonian house from 1956. The Pittsburgh itinerary included a “living history” dinner and discussion with Alan I. W. Frank, owner of the 1940 Frank House, designed by Walter Gropius with interiors by Marcel Breuer. The group also rode the Monongahela Incline to learn about the adaptive reuse of the Prospect School to the Lofts at Mount Washington; visited the Carnegie Museum to view Jean Dunand’s Chariot of Aurora panels from the SS Normandie; and enjoyed an evening at Kennywood amusement park, the location of the Gimbels Flyer from the 1939-40 New York World’s Fair. 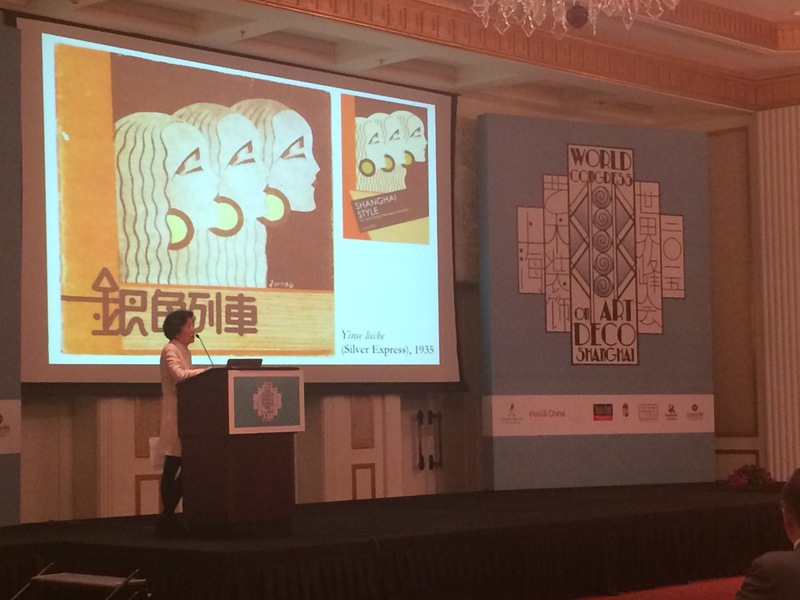 The video below gives a taste of Shanghai’s architecture and design that was explored and experienced at the most recent World Congress on Art Deco in 2015. What a WoCo it’s been! 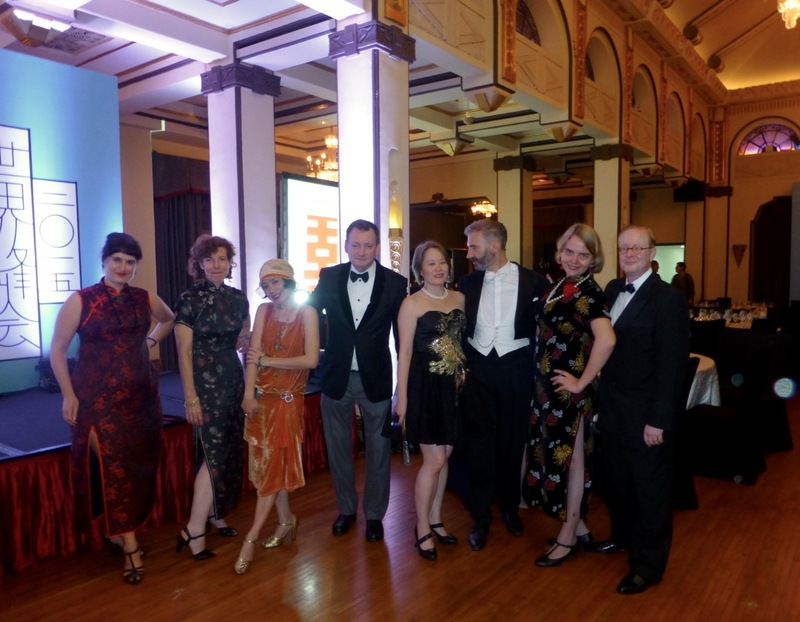 On November 1 2015, we welcomed the Deco World to Shanghai for a week of non-stop Shanghai Art Deco: talks, walks, parties, entertainment, field trips, and the Last Dance, our Shanghai Art Deco Gala Evening. 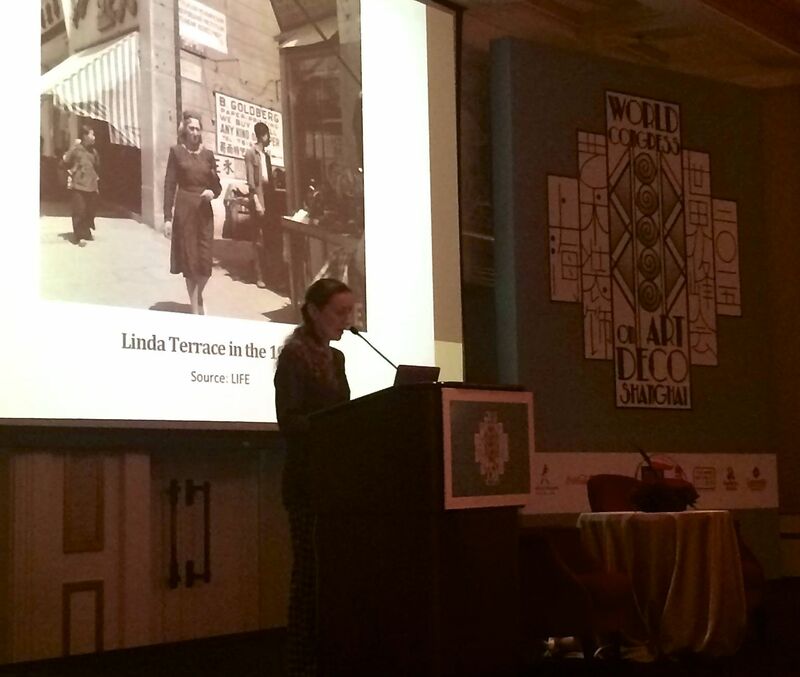 It all started in 2007, when Historic Shanghai co-founder Tess Johnston spoke about Shanghai Art Deco at the World Congress in Melbourne. 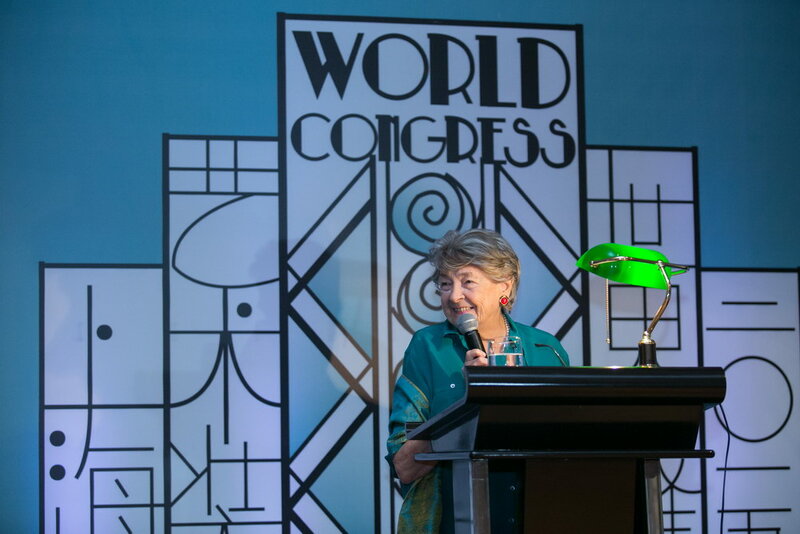 The seed was planted for a World Congress in Shanghai, and four years later, in 2011, Patrick Cranley, president of the heritage organization Historic Shanghai, traveled to Rio de Janeiro and successfully bid for the World Congress to be held in Shanghai in 2015. 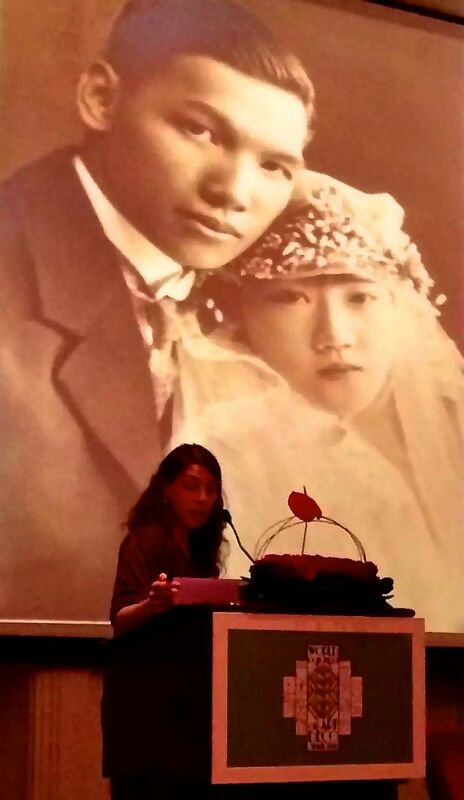 It would be the first World Congress to be held in Asia. 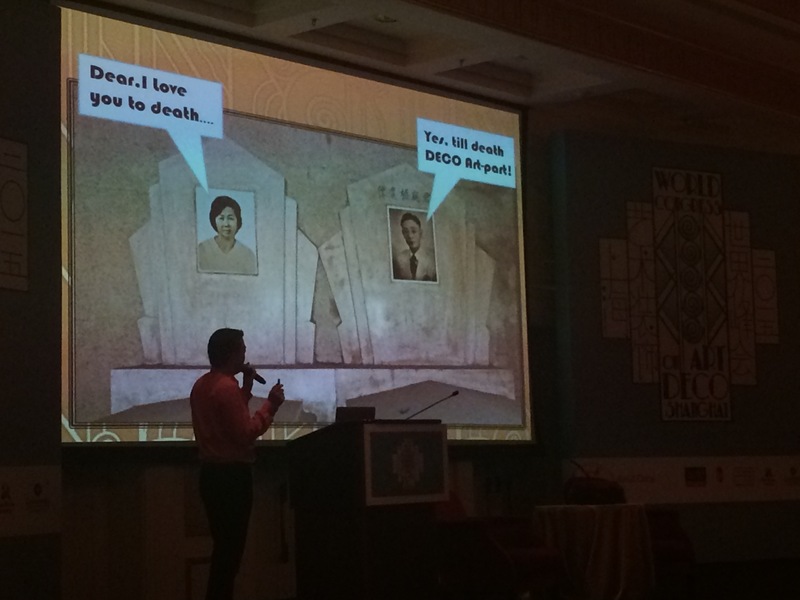 For more on the history of the World Congress, click here. We spent four years road-testing routes, talks, menus and entertainment. We hired our Intrepid Interns, the heart, soul and engine of the World Congress, who organized spreadsheets, designed our logo, made our video and put us on the digital map. 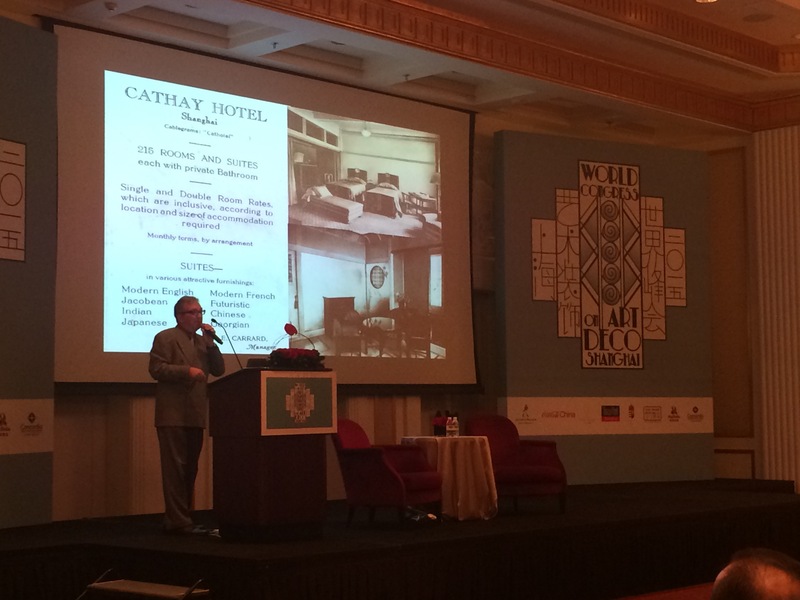 And on November 1, 2015, we welcomed the Deco World to Shanghai. 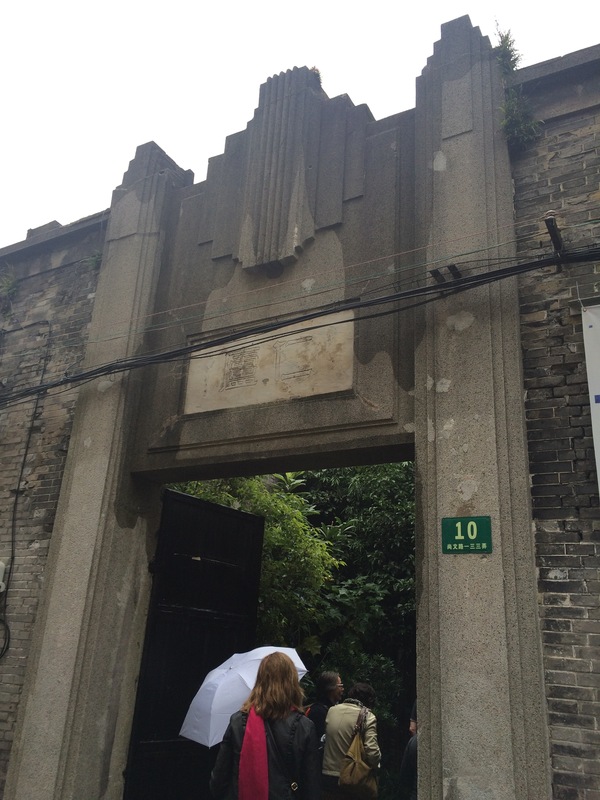 What better way to kick off a week in China than with some Chinese Art Deco? 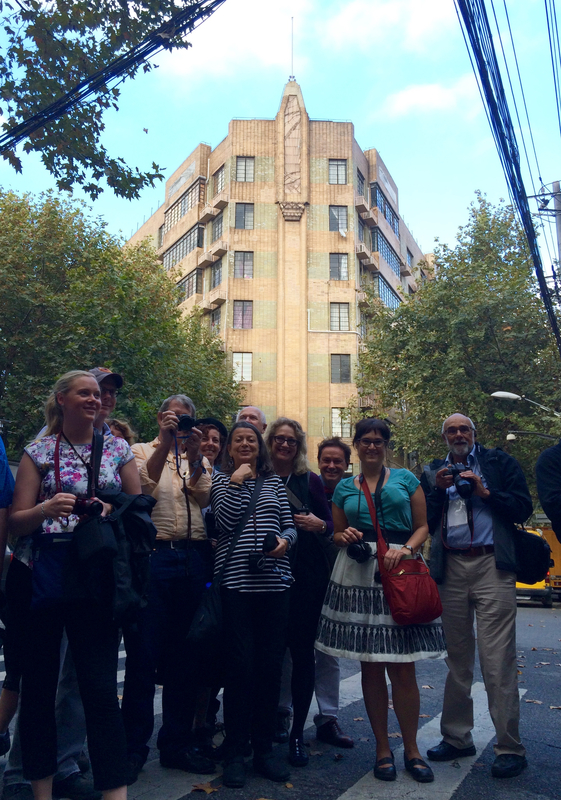 We toured Shanghai’s best collection of Chinese Art Deco – a style that would feature again and again during our talks in the coming week – on a visit to our Lost Chinese Art Deco city. 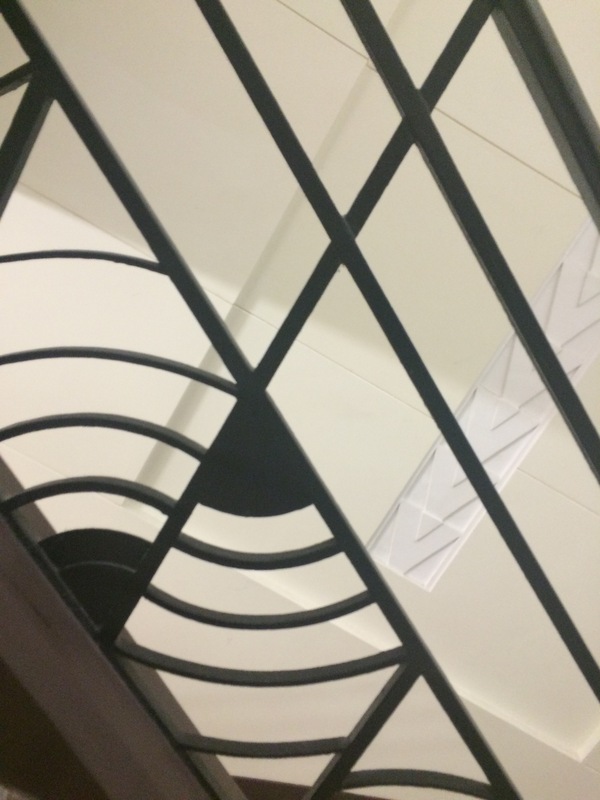 Chinese motifs on streamlined Art Deco buildings, modernized “Ming Revival” Chinese style buildings – but everyone’s favorite had to be the airplane building! 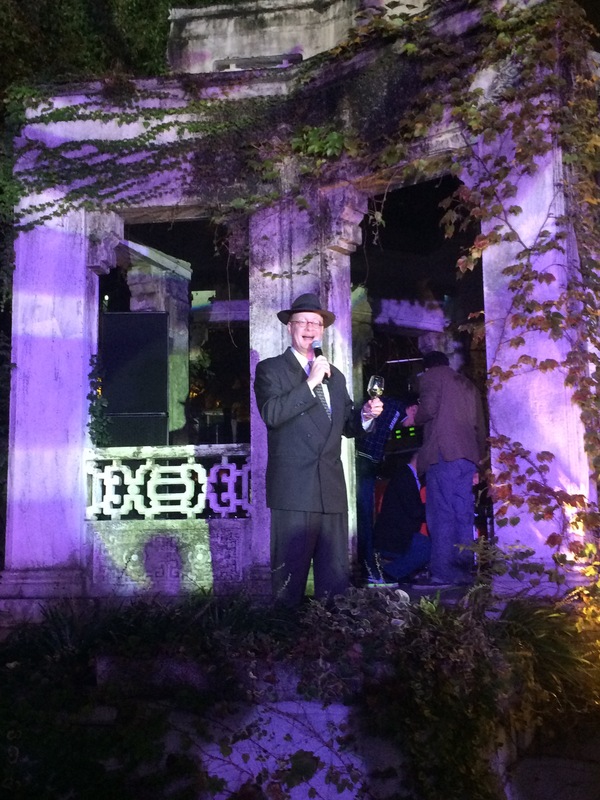 We continued the Chinese Art Deco theme with an opening cocktail at the spectacular Pei Mansion, the onetime home of a wealthy Shanghainese financier, with the rain letting up just in time for us to enjoy cocktails on the lawn. 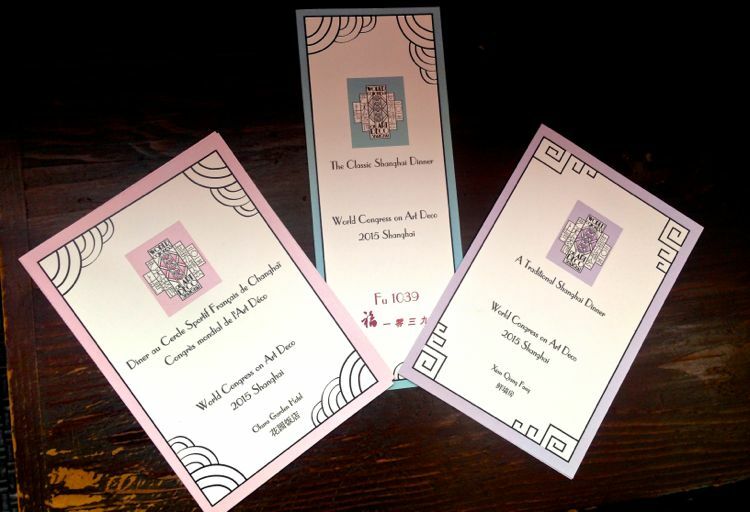 We were extremely fortunate to have the crème de la crème of Shanghai Art Deco scholars and experts, many of whom have spent decades researching different aspects of Shanghai Art Deco. 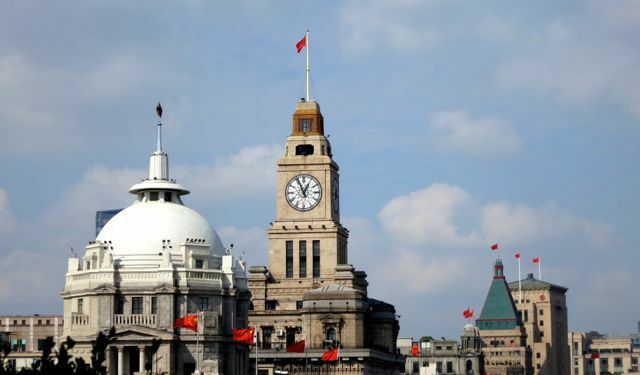 Conservation of China’s Urban Heritage: Professor Shen Xiaoming, architect has restored numerous Shanghai Art Deco landmarks. 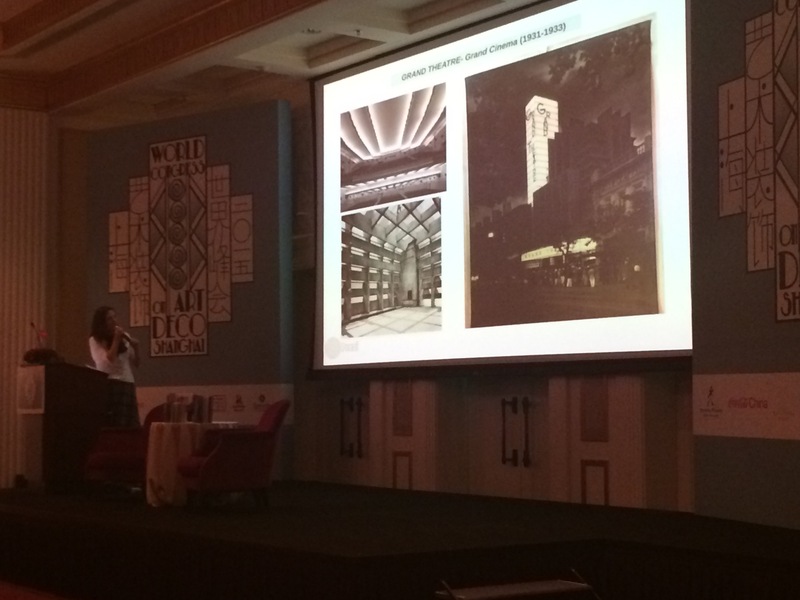 Boulevard Moscou: Russians, Art Deco & Shanghai: Katya Knyazeva, journalist, researcher and expert on Russians in old Shanghai. 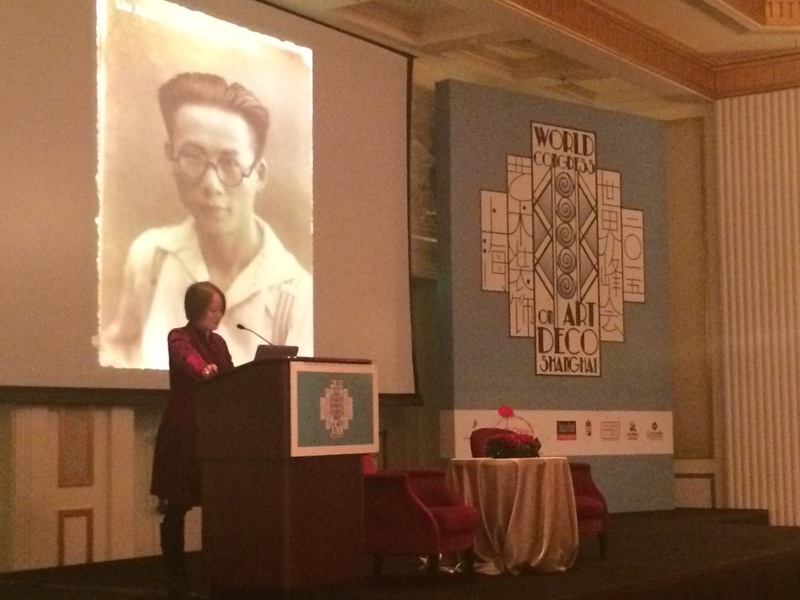 A Personal Look at Shanghai in the 1930s: Patricia Luce Chapman, author, Tea on the Great Wall. Kun Opera is the regional opera that was very popular in Shanghai during the Art Deco era – and the Shanghai theater just happens to be in an Art Deco building, the former Cercle de la Police (Police Club). 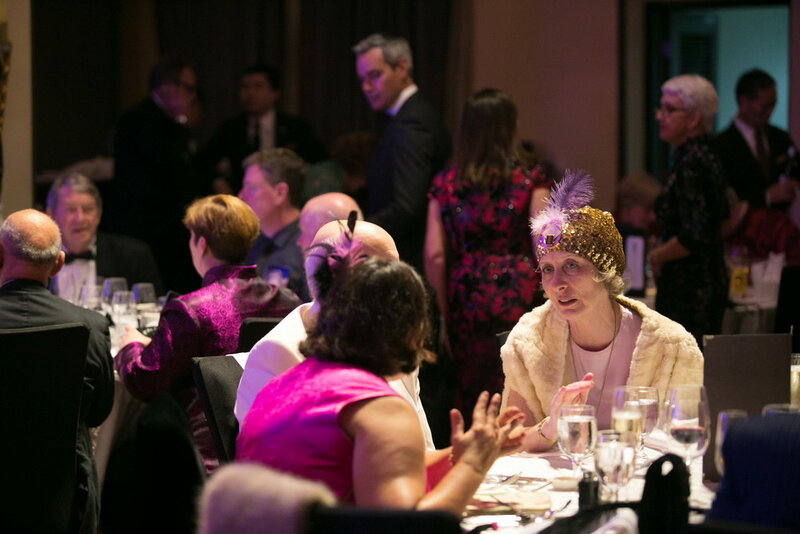 Extra added bonus: they dressed up some of our participants, including Art Deco Society of New York’s Alex Disbrow, in traditional opera garb – isn’t he spectacular? 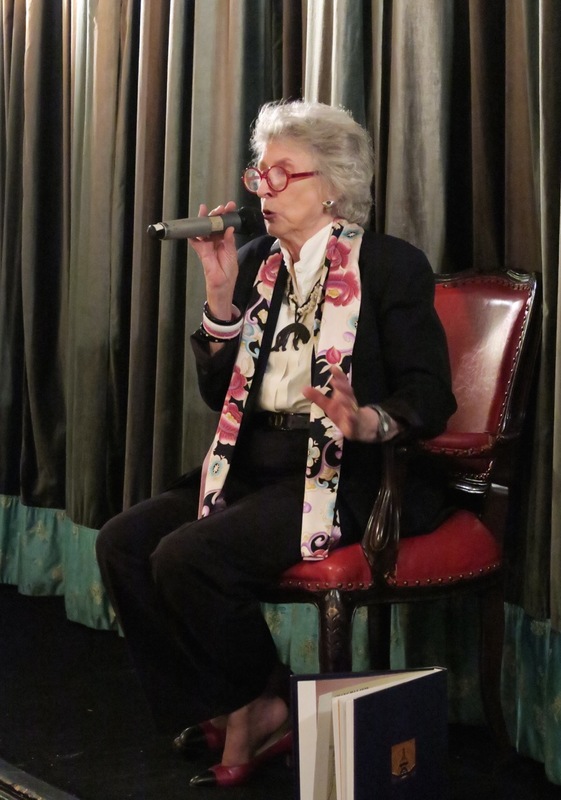 Art Deco evenings included dinners in historic locations, featuring traditional menus, and some terrific speakers, too. 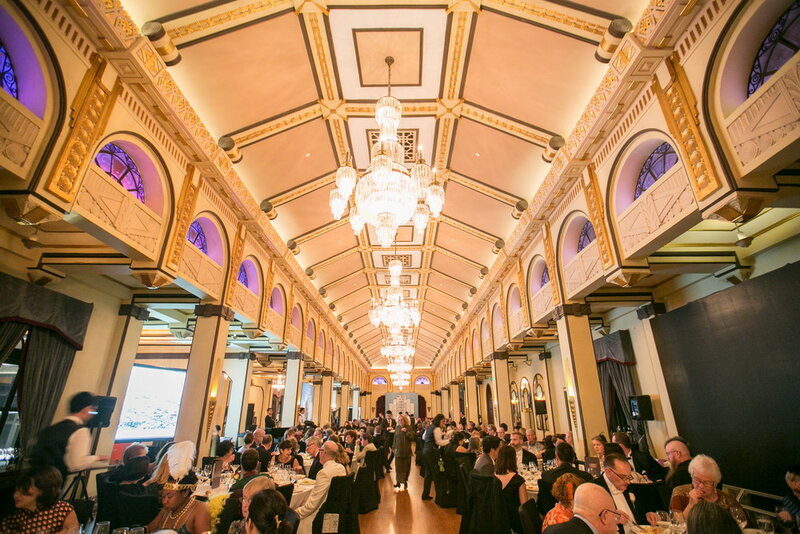 In the restaurant and ballroom of the historic Wing On Department Store. In the Art Deco ballroom of the former Cercle Sportif Français. 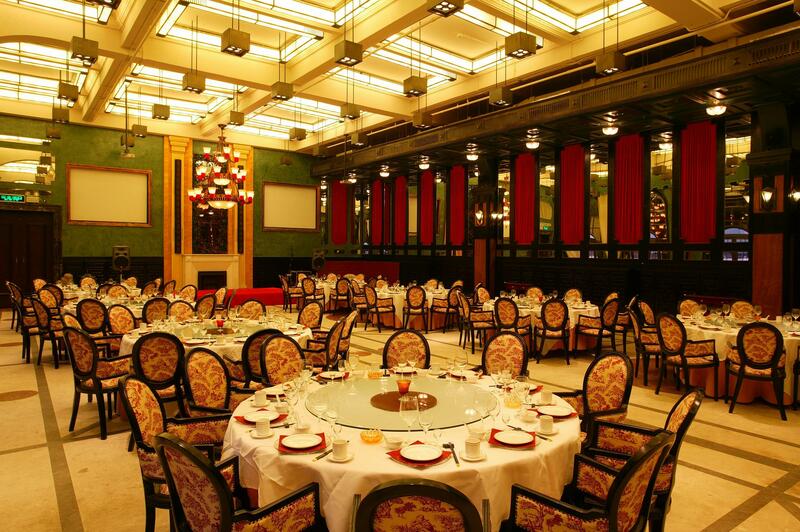 A classic Shanghai dinner in a classic Shanghai mansion. 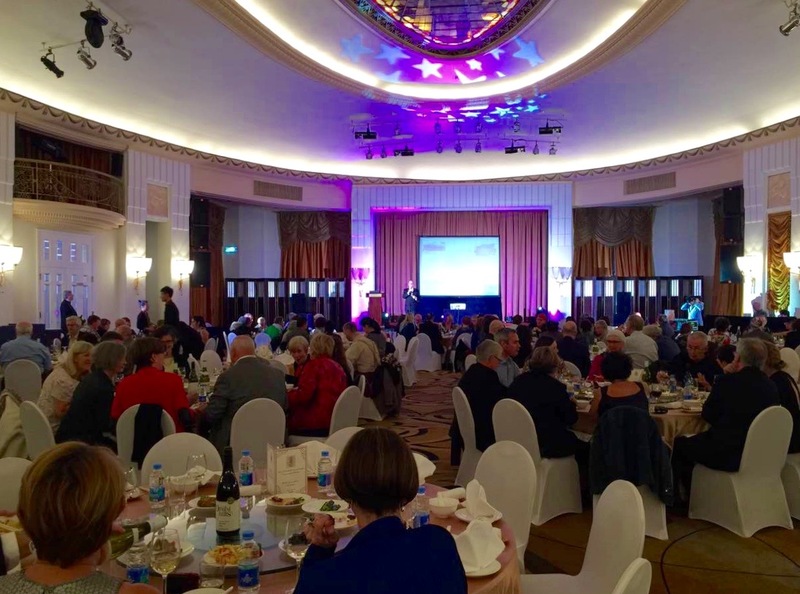 We ended the Shanghai World Congress in style, with a Gala in the Ballroom of the former Cathay Hotel (today the Fairmont Peace Hotel), Shanghai’s Art Deco jewel. 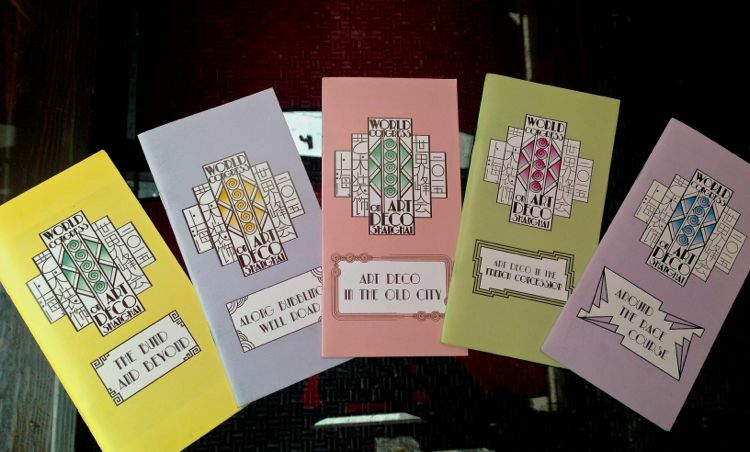 We dined on a vintage menu, based on a 1931 Cathay Hotel menu, danced, and had oodles of fun with friends, new and old, from around the Deco-world. A terrific ending to a terrific week!